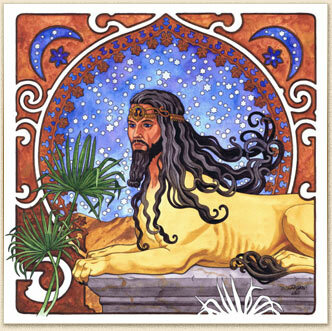 Since 1993 I am working as a freelancing illustrator and artist. 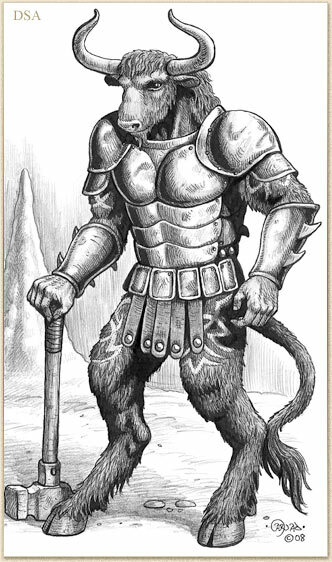 Most people know me for my works for Das Schwarze Auge, Germanys most popular fantasy roleplaying game, but I also create fantasy-themed artwork for novels, card games, CD sleeves, advertising and educational brochures, web sites and privately commissioned works of art. Among the informational flyers and brochures a great deal were done for the Lünen Municipal Sewage Authority: Stadtbetrieb Abwasserbeseitigung Lünen (SAL). 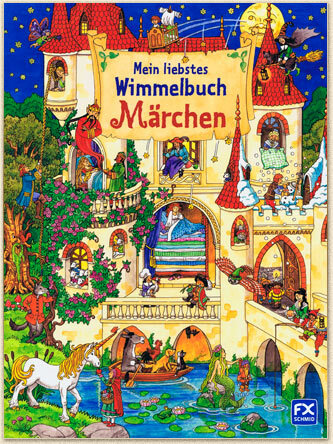 Since early 2006, I also illustrate children’s books, most notably Wimmelbücher* for F. X. Schmid (operating as an imprint for Ravensburger Buchverlag), many titles for XENOS Verlag and some jigsaw puzzles for Ravensburger Spieleverlag. *) For an explanation of 'Wimmelbuch' (pl. Wimmelbücher) please take a look at the pictures on this page. In my galleries you'll find works I created for publishers and private clients as well as pictures which arose from my own imagination – which are therefore most precious for me. Please enter and leave some of the happiness you bring with you. Please enjoy my works! 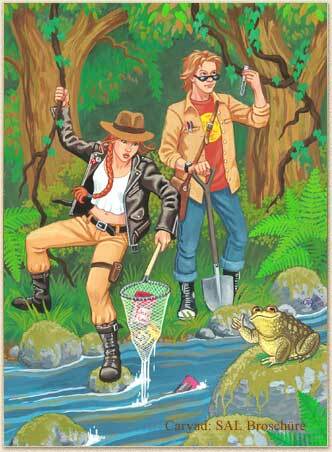 Happy Easter and an adventurious Easter egg search! There's a preview for you at the sketchbook gallery about what you can look forward to at the WDR 5 Literaturmarathon. Enjoy! All christmas gifts already there? No? 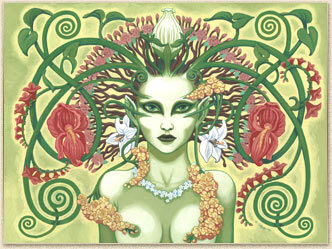 You will find very special and rare gifts in the Dagon Gift Shop, for a price naturally. A hommage to H.P. Lovecrafts Cthulhu and a great nostalgic advertisement. puzzle pieces, suitable for children three years or older. It was time for something pink: "Mein magisches Wimmelbuch Einhörner und Prinzessinnen" is published by F.X. Schmid / Ravensburger Buchverlag under the ISBN 978-3-8380-0104-3. Discover not only white unicorns or princesses in pink, there are so much more creatures to look on: elves, gnomes, enchanted mushrooms, golden squirrels, centaurs, fairies, giants, dragons and flying horses. To see at the Children's Books gallery are pictures from my new Wimmelbuch* "Mein magisches Wimmelbuch Einhörner und Prinzessinnen" (My magical Things-to-spot-on-book unicorns and princesses). There's also a new jigsaw-puzzle with cute Sea-Dwellers published by Ravensburger Spieleverlag. *) 'Wimmelbuch' is the hard-to-translate term for a book full of 'Wimmelbilder', which are busy scenes with picture puzzles and short story elements, sometimes also called things-to-spot pictures or picture hunts. 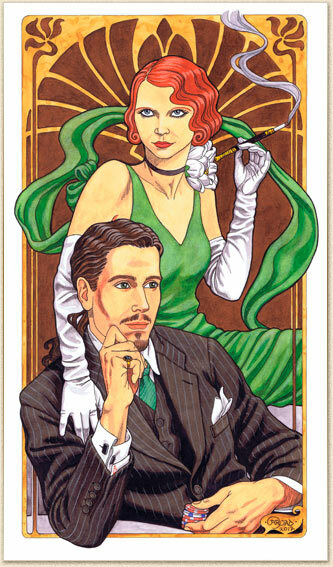 Two new sketches in gallery to see, one of them is a live drawing from Dr. Sketchy's Cologne. I have illustrated 10 texts of 10 famous authors for the WDR 5 Literaturmarathon, as there are F. Scott Fitzgeralds' "The Great Gatsby" and J. K. Rowlings' "Harry Potter an the Philosophers Stone". A few of them you can look at in the Sketchbook gallery. I was livedrawing at Dr. Sketchy's Cologne the wonderful models Jenny Starshine, Kitty Gowild and Der Große Berty (The Great Berty). A new illustration for a wonderful story for children by the author Muna Bering. I like this picture very much, because I could freely paint it after my own imagination. New to see at the Children's Books gallery are two pictures from my Wimmelbuch* "Wimmelspaß mit Bus und Bahn" (Things-to-spot-on-fun with tram and bus) published by Carlsen Verlag for Karlsruher Verkehrsverbund KVV. "Mein großes Bilderbuch vom Suchen und Finden" (My big picturebook about seek and discover) is released since January 2017 by F.X. Schmid (imprint of Ravensburger Buchverlag) under the ISBN 978-3-8380-0087-9. I wish a merry Christmas! 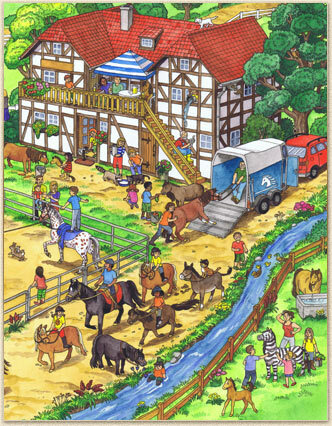 I've illustrated a new jigsaw puzzle for Ravensburger Spieleverlag with very cute little cats and dogs. There are three puzzles in the package with 49 pieces each and three mini posters fit for children at age 5+. Order at Ravensburger or Galeria Kaufhof. 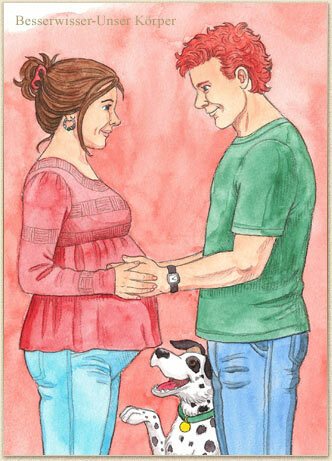 There are two of the three pictures to look on in the gallery Kinderbuch. 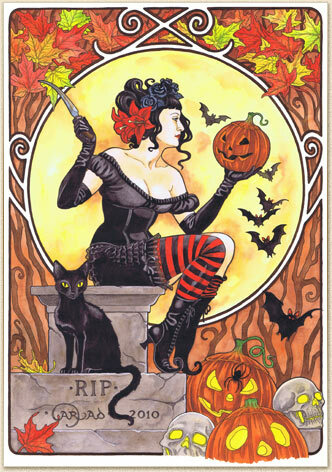 Happy Halloween and a colourful Dias De Los Muertos! New to see at the Children's Books gallery are the covers of my Wimmelbücher* in Russian und Dutch Netherlands and some views of my Wimmel pictures in detail. The children's book "Mein liebstes Bauernhof Wimmelbuch" (My dearest things-to-spot-on farm book) is translated into Russian under the ISBN 978-5-353-07870-8 by Rosman. Here you can find all the wild scribbles in my sketchbook: Ideas, sketches, studies and drawings "just for fun". In the sketchbook gallery you find Captain Flint and Miss Fisher as well as Fantasy-Characters and creatures. 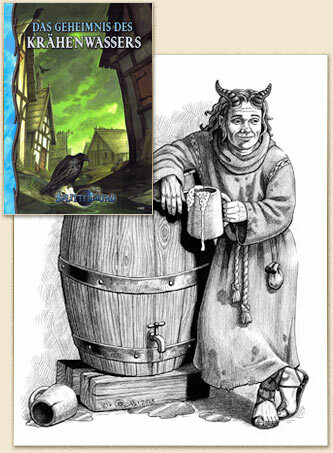 Uhrwerk Verlag is puplishing the new regional sourcebook "Dakardsmyr - Im Nebel der Myrkansümpfe" (Dakardsmyr - The Fog of the Myrkanswamps) since May 2016 for the Splittermond Roleplayinggame. I've created and illustrated the funny swampsquirrel, best friend to all gnomes. Order at Uhrwerk Verlag Web-Shop. 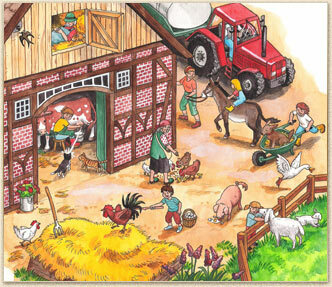 The scratch jigsaw puzzle "Fun At The Farm" is available since March 2016 by Ravensburger Spieleverlag. I illustrated the puzzle with funny details under a coating, which you can discover by rubbing. Order at Ravensburger or Amazon. "Mein extradickes Wimmelbuch" (My extra big Things-to-spot On Book) is released since January 2016 by F.X. Schmid (imprint of Ravensburger Buchverlag) under the ISBN 978-3-8380-0078-7. The 13 pages big children's book includes known pictures of previous things-to-spot-on books and two brand new pages full of funny scenes of city life. 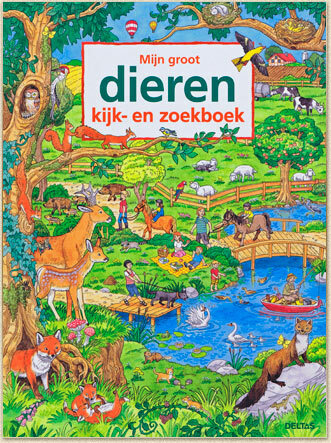 I'm very happy to say, that my "Mein liebstes Wimmelbuch* Tiere" (My dearest Things-to-spot On Animals Book) is now translated into Dutch Netherlands under the ISBN 978-90-447-4197-1. In short time there will be also translations of all 5 Wimmel books into Chinese language. 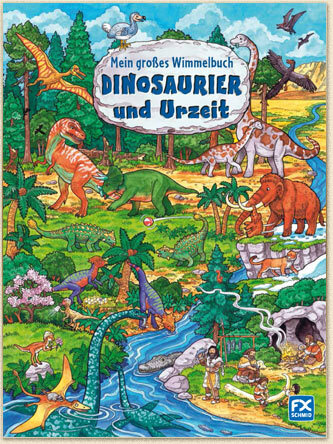 "Mein großes Wimmelbuch Dinosaurier und Urzeit" (My big Things-to-spot On Dinosaurs and Primitive Times Book) is now released by F.X. Schmid (imprint of Ravensburger Buchverlag) under the ISBN 978-3-8380-0066-4. Explorer-Dino Hypsi invites to a busy picture hunt tour through primitive times. 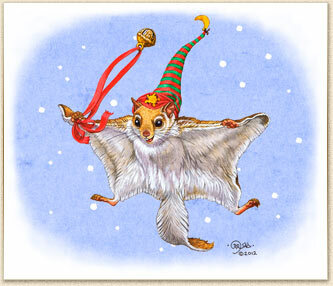 Merry Christmas & a happy owlfly to 2015! After a long time without any Roleplayinggame publishing, now a brand new Adventure, illustrated by me, written by Tobias Hamelmann. 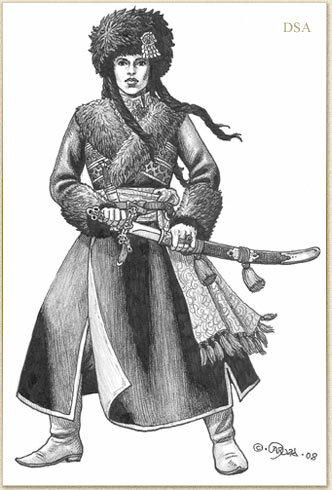 Das Geheimnis des Krähenwassers (The Secret of the Crowwaters) is an adventure-setting in the Splittermond Universe, published by Uhrwerk Verlag. The non-fiction book "Wanderer am Himmel – Die Welt der Planeten in Astronomie und Mythologie" (Traveller at the sky – The world of planets in astronomy and mythology) will be published in early October 2014 by Springer Spektrum. The authors Thomas Römer and Vera Zingsem will present the book with me together at the Frankfurt Book Fair in Germany. I will also be sketching live, naturally a mythology theme. Buy the book at Springer Spektrum or prebuy on Amazon. 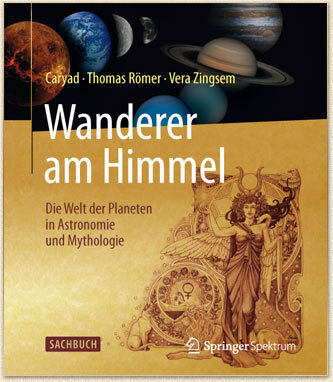 The non-fiction book „Wanderer am Himmel – Die Welt der Planeten in Astronomie und Mythologie“ (Traveller at the sky – The world of planets in astronomy and mythology) will be published in fall 2014 by Springer Spektrum. 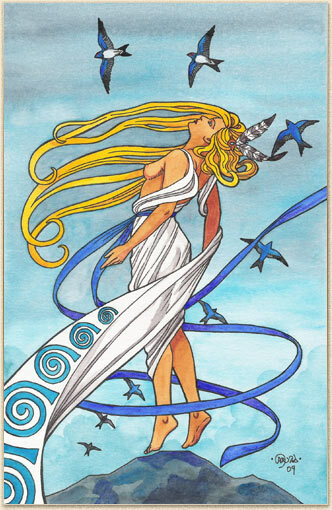 The mythology-part is richly illustrated by me and here is a preview for you at Saturn and Venus. Enjoy! 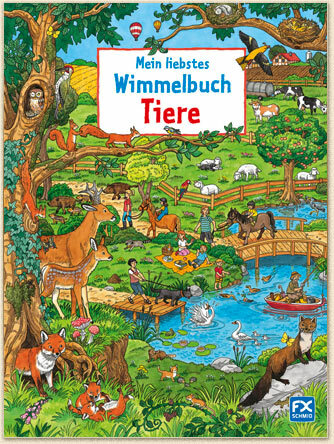 "Mein liebstes Wimmelbuch Tiere" (My Dearest Things-to-spot On Animals Book) will be available at 1st January 2014 as the regular version by F.X. Schmid (imprint of Ravensburger Buchverlag) under the ISBN 978-3-8380-0042-8. 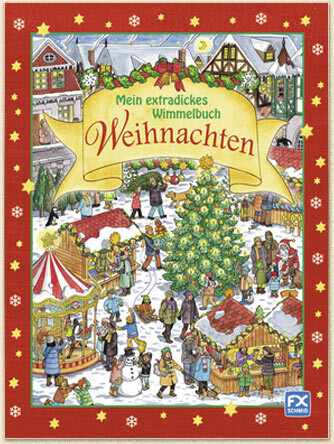 "Mein extradickes Wimmelbuch Weinachten" (My Extra-big Things-To-Spot Christmas Book) is available under the ISBN 978-3-8380-0048-0. It contains all 7 double-pages of my "Mein schönstes Wimmelbuch Weihnachten" (My Most Beautiful Things-to-spot On Christmas Book) and 4 double-pages of the illustrator Roy Trower. I wish you an extra-big Merry Christmas! "Mein liebstes Wimmelbuch Märchen" (My dearest Things-To-Spot Fairytale Book) is now available under the ISBN 978-3-8380-0049-7. My fourth 'Wimmelbuch' for the publisher F.X. Schmid (an imprint of Ravensburger Buchverlag) contains 44 fairy tales on just 7 double pages: tales by the Brothers Grimm, Hans Christian Andersen, Joseph Jacobs and others. 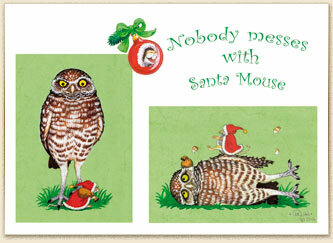 A wise owl with a pointy hat accompanies the reader troughout the fairytales – can you spot her on every page? I also wrote the text of this book, so this is a genuine Caryad book from cover to cover. 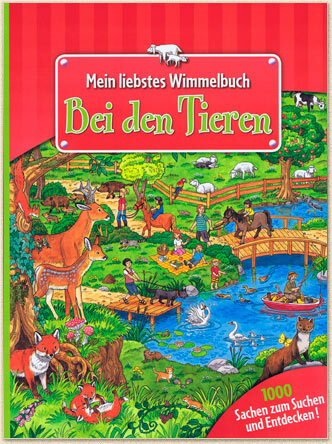 "Mein schönstes Wimmelbuch - Bei den Tieren" (My dearest Things-to-spot On Animals Book) is now (KW 17) available at Aldi Süd for a short time, so grap a book now. In spring 2014 there will be a second publishing of my third Wimmelbuch by F.X. Schmid (an imprint of Ravensburger Buchverlag). 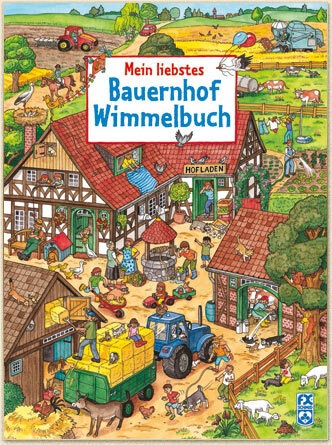 "Mein schönstes Wimmelbuch - Bauernhof" (My Most Beautiful Things-to-spot On Farm Book) is now (KW 17) available at Aldi Süd for a short time, so grap a book now. Website updated at 17th October '12. Now you can look at pictures from my new astrological-zodiac-project in co-operation with the illustrator Mia Steingräber. In the new gallery Non-fiction & advertising you'll find illustrations for information brochures, non-fiction books for children, ad cartoons and likable icons, general advertising and logo design. The wooden children's jigsaw puzzle "Spielendes Kätzchen" (Playing Kitten) is already released by Ravensburger Spieleverlag:. A first 5-pieces-puzzle for the little ones, 1 1/2 years and up. 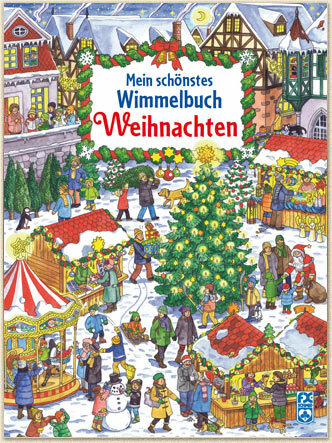 "Mein schönstes Wimmelbuch Weihnachten" (My Most Beautiful Things-to-spot On Christmas Book) is now available in stores everywhere; ISBN is 978-3-8380-0015-2. My second 'Wimmelbuch' for the publisher F.X. Schmid (an imprint of Ravensburger Buchverlag) teems with even more scenes, story snippets and practical jokes than "Mein liebstes Bauernhof-Wimmelbuch" (My Dearest Things-to-spot On The Farm Book): In seven double-page-spreads two Christmas cats are up to mischief between the stalls of a Christmas fair, in the Holiday bakery of the local kindergarten, amongst ice skaters, in a crowded department store and in a snow-covered mountain village. But I still will be visiting conventions and sketch your characters there, so I'll stay in touch with DSA that way. 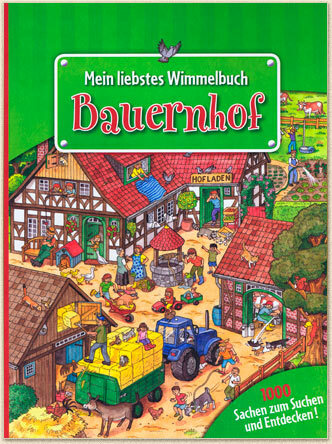 "Mein liebstes Bauernhof Wimmelbuch / My dearest farm swarmingbook" is already released under the ISBN 978-3-8380-0006-0. I have illustrated the 16 pages with many swarming details and every doubleside has a cheeky racoon hidden. It's my first picture book for F.X. Schmid (Ravensburger) and I'm already working at the second one, that is all about christmas time. Right now I'm working on a picturebook for children with swarming details entitled "Mein liebstes Bauernhof Wimmelbuch / My dearest farm swarmingbook". Scheduled for realease in 2011 by F.X. Schmid (Ravensburger). 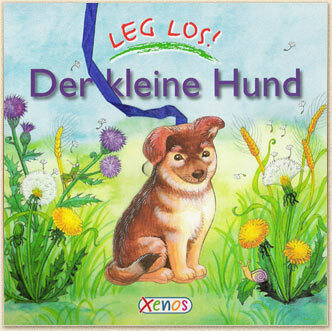 The book "Der kleine Hund" (The Little Dog) is new published in the 'Leg Los' line of children's books for infants and kindergarten age . The little dog lives on a farm and accompanies the farmer for a day. The little dog meets all the other animals at the farmland. The book has got an inlay-figure of the dog, that fits in every page and szene in the book. XENOS Verlag, all illustrations by me. Right now I'm working - in close cooperation with my colleague Mia Steingräber - on a deck of cards entitled Inrah, set in the world of "Das Schwarze Auge / The Dark Eye". 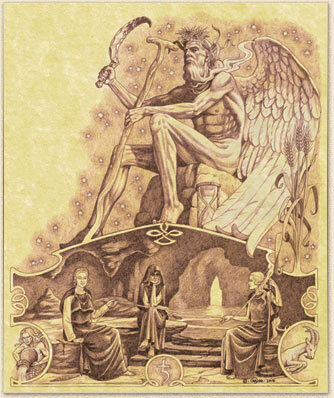 It is a full set of 121 cards (6 suits corresponding to the six aventurian elements with five face cards and seven pip cards each, plus 49 'major arcana'), of which the 79 picture-cards are illustrated by us. 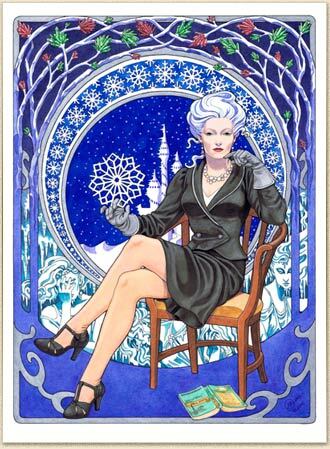 The deck can be used for divination purposes (like Tarot cards) or for the Poker-like 'Boltan' or 'Five Aces' game. 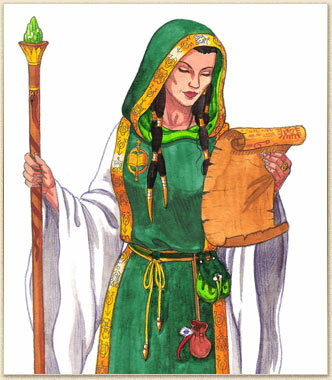 Scheduled for release in 2010 as a seperate Game by Ulisses Spiele. 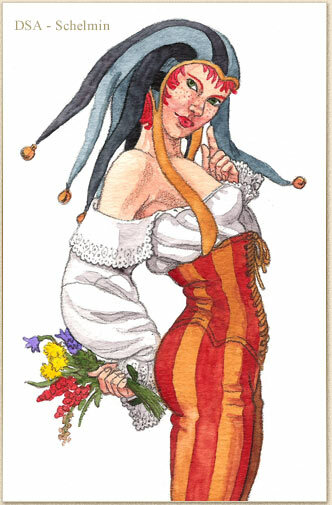 (Another deck, illustrated by the artists of Radon Labs computer game studio will appear in the limited 'Personal Edition' of the Drakensang: Am Fluss der Zeit computer RPG. New pictures in gallery: "Das Schwarze Auge (The Dark Eye)"
The municipal water authority of Lünen SAL Lünen will be publishing a new information booklet for school use on the topic of 'stream sponsorships', which will contain a lot of full-colour illustrations by me – and a plethora of interesting facts about how students can work as sponsors/godparents of local stretches of water. Soon to be released by Ulisses Spiele: the new regional sourcebook "Reich des Roten Mondes" (Realm of the Red Moon) for the Orkland region of the well-known German role-playing game, with some of my older works and some new illustrations. The book "Unser Körper" (Our Body), with eight detailed, full-colour double pages and a lot of interactive flaps will be published in the 'Besserwisser' line of children's non-fiction books for kindergarten age and upwards. XENOS Verlag, all illustrations by me. 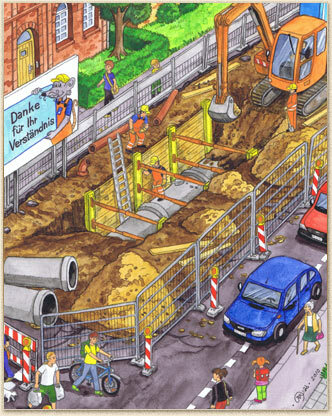 The municipal water authority of Lünen, SAL Lünen, has published an information booklet on the dangers of rats in the sewers ("Ratten in der Kanalisation"). 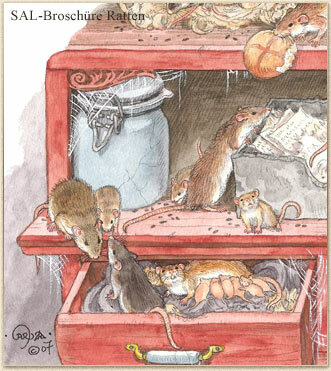 With a lot of full-colour illustrations by me – and of course a lot of information on the topic of rats in the cities. 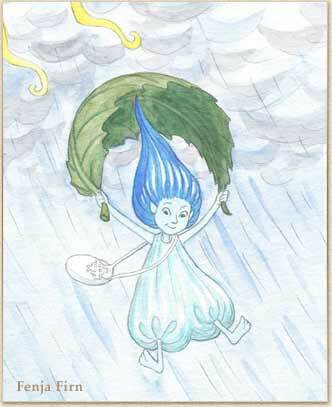 Also by the municipal water authority of the city of Lünen, SAL Lünen: a children's book on the water cycle, entitled "Fenja Firn – Die abenteuerliche Reise einer kleinen Wasserfee vom Gletscher bis tief unter die Erde" ("Fenja Firn – The adventurous journey of a little water fairy from the high glacier to deep underground"). This summer I will be working on a sequel of Fenja's adventures, this time depicting the water cycle all around the house.